As a book lover myself, I have tried to create this little corner to allow for a place to mingle with other book lovers, book nerds if you will. A Place to share my thoughts on books, and listen to the thoughts of others on books. It's been great - I love hearing what you all are reading. But the internet is vast. An ocean is a good visual. We might get comfortable enough where we are but are we truly experiencing all there is to experience? So while sharing my own thoughts here in this space, I try to venture out into the vastness of the blogging ocean and internet world to explore. To find new bookish thoughts, ideas, and meanderings. 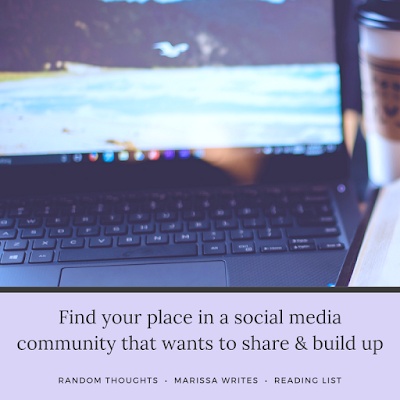 There are communities on Google+ but they tend to sporadic... And of course, twitter is full of little quotes and tidbits that can feed any bibliognosts hunger for more words and stories. Then there are the groups and pages on Facebook to sit in and soak it up. But all of these little outlets feel like sitting at a concert, listening to a storyteller perform, soaking it, applauding the show, and then returning to life. The thing about books is that they create a new world, with lives, people, emotions, feelings... they leave impressions, and demand to be addressed. While a single person can address some of these points, only in actual company can these ideas be expanded and allowed to blossom fully into an experience that can impact. And so book lovers wander, looking for places to allow their thoughts to mingle with others and give life to the stories. This is why I am confident that bookstagram is not just a flash in the pan social media fad. You see, a few years ago (yes years...) a little subset of social media users on Instagram focused their efforts on books. 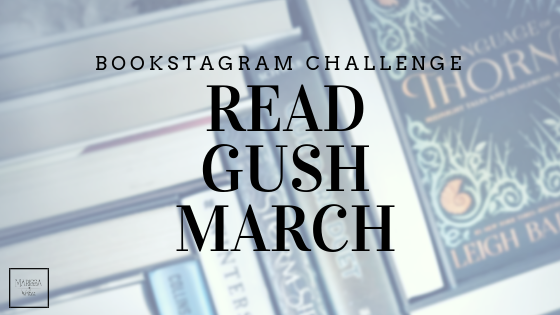 They categorized their efforts with a hashtag-#bookstagram - in the hopes of attracting other wandering book fanatics together. And, as any true bibliophile would guess, it flourished because all of these bookish minds were more than eager to come together and allow the ideas that begin in books to grow into more. Today there are more than 11.5 million images on Instagram with the hashtag bookstagram. And thousands of photographing bibliognosts dubbing themselves bookstagrammers. 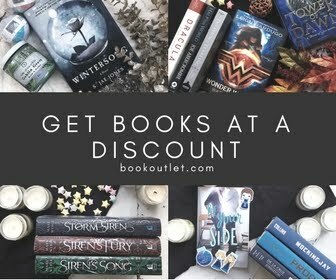 So while the internet is debating the pros and cons of books, bookstores, self-publishing and more, these consumers of all things written are growing into a powerful community. The amazing fact is publishers are realizing the power these people have to influence others to pick up books. The advertising for books is changing because of these little book dragons who not only devour stories like a starving man but because these people are focused first on the love of stories. The mindset isn't to compare and judge. These book minds value the concept of empathy and new angles. So while they form their own opinions on the books they read, they are always interested in new stories, new authors, and new perspectives on old classics. Hollie Fraser, founder of Books on the Underground, once said that bookstagram is a "culture of sharing" and she couldn't have been more on the nose. Not only is this a community who wants to share, they are full of a desire to love on each other. Well, read people tend to be more open to different points of view simply as a result of the stories they have read. And the more angles a person can see a story, the more compassionate they become. A prime example is the young hashtag #booksnotbullies which was started by Kat from Not the Path to Narnia and a few of her bookstagramming friends. On Wednesdays, bookstagrammers share pictures of blue books and give shouts and kind words to other book-loving buddies across the world to remind each other that we are not alone. To combat bullying in all of its shapes. It might seem small, but isn't it the small things that make the biggest changes? Now, why have I even bothered to tell you all of this? One because too many people are missing the power of Instagram, and it attempts to be joyful and positive because of its bloated big brother Facebook. But more importantly, because many of you are trying to write a book. You are desperate to put your baby out into the world without getting pummeled for your attempt. You pray that it might be accepted. And you fear the cost it will take to even allow it to go. 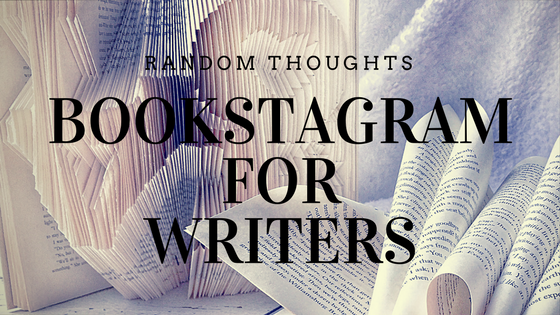 So why don't you give bookstagram a shot? Jump into your Instagram account and start finding a few chatting bookstagrammers. Many of them are writers, editors, and proofers who just want to help share the importance of books and reading. They have big hearts and are full of encouragement. You don't have to be a book focused account yourself - just make friends. Your opinion of the crazy social media world might just be tested. Are you on Instagram? I'd love to say hi! 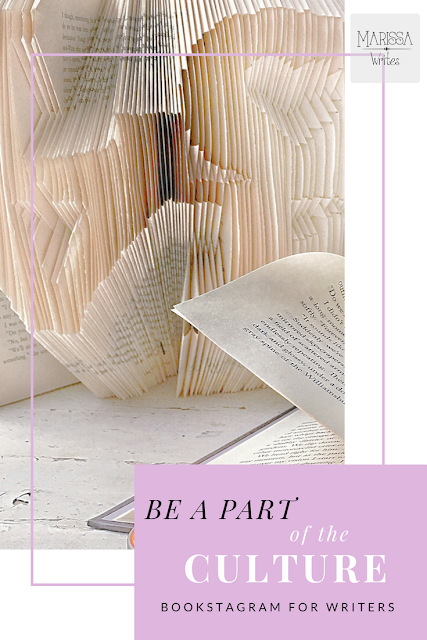 Have you experienced the love of Bookstagram before? Would you use Bookstagram to help push your new book? Have you ever thought about it? So cool! I had no idea about the hashtag. I am definitely a book lover. I've written a few posts on what I'm reading. I'll be sure to use the hashtag next time I share. It is so handy with social media - and Instagram is driven by it. Good luck! 1. Yes, I am on Instagram, but I don't use it as much as Facebook or my blog/site. 2. No, I've never used (or even heard of) Bookstagram before. Glad to read about it here. I just looked it up. 3. Yes, I'd definitely use it. I'd be glad to use anything to help market one of my books! I love Instagram and have never heard of this. Thanks for telling me about Bookstagram. I'm going to check it out! Thanks for this Marissa. As a book lover and aspiring author, I'll definitely check it out. I keep getting told there's a lot of power in instagram so I guess I need to make the time to work it out.